As with all anthias there is one male; a super male; and a harem of females. The males are usually much more colorful than the females. All anthias eat food out of the water column and need to be fed a couple of times a day to survive. This will put an additional load on your tank, so you need to take that into consideration when getting an anthias. Anthias are tough fish to keep, most don’t eat the right food, or any food, and die from starvation. They require large tanks with fast moving water, rock overhangs for shelter, shade from the lights, and non-aggressive tank mates. You also need to keep a group of one male and several females together, as they do better that way. These fish really should be left to experts or people with large and established reef tanks. 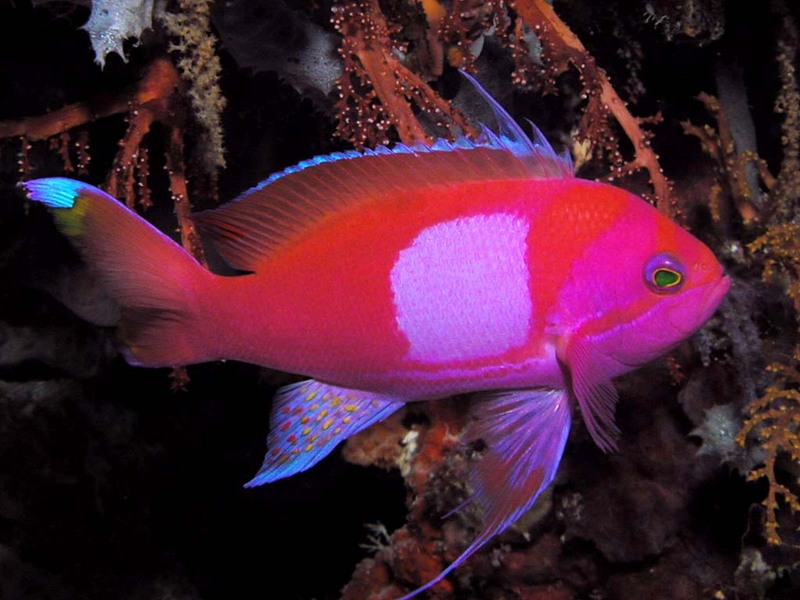 The Square Anthias is one of the larger anthiases available; it comes from deeper water and usually doesn’t make it in the aquarium.